At one point, [Richard] almost quit writing because he received such a low advance on a book. We were talking about how he might have to give up writing when the phone rang. Oprah’s producer was on the line. She said she was just in their library looking for a book on stress management and You Can Be Happy, No Matter What popped off the top shelf and hit her in the head! She asked if there was any way Richard could fly out to Chicago the next day to be part of a guest panel on the Oprah Winfrey show? This event marked a shift in the energy of Richard’s career. Three years later, Don't Sweat the Small Stuff became a #1 Best Seller all over the world [and has since sold over 25 million copies]. J. K. Rowling It took J. K. Rowling's agent a year, and 12 rejections, before Harry Potter and the Philosopher's Stone (the book's British title) sold to a small publishing house. When Rowling received the book's £2,500 advance for the initial print run of 500 copies, Rowling was advised to find a day job and not rely on writing children's books for a living. It was only after the book started winning awards that interest in Harry Potter began to soar. Mary Higgins Clark Every one of Mary Higgins Clark's 42 novels have been a bestseller, but it took her 6 years and 40 rejection slips to sell her first short story. 18 years after that, in 1974, she sold her first mystery novel, Where Are the Children, for an advance of $3,000. It's now in it's 75th printing. Patrice Karst On November 11, 1995, Patrice Karst woke up from a dream seeing the words, GOD MADE EASY in her mind's eye. Something within commanded her to sit down and write, and an hour later the small book was completed. Not knowing the publishing business, Karst simply picked up the phone and called three publishers. She signed a contract with DeVorss & Co. a month later. While gathering testimonials for God Made Easy, her little book fell into the hands of a big agent--who loved it. DeVorss & Co. stepped aside when Time-Warner expressed a desire to publish God Made Easy. Although the figure is not on her website, I seem to remember from hearing her speak years ago that she received a $50,000 advance. Whether your road to publication is long or short, and your advance big or small, the ups and downs of the writing life are common to all writers. Yet what is common only in successful authors, is that no matter what happens, they keep writing, writing, writing and submitting. What if Mary Higgens Clark had given up after her first rejection letter? Or her 15th? Or her 35th? What if JK Rowling had listened to the naysayers, and been satisfied with working 9 to 5. 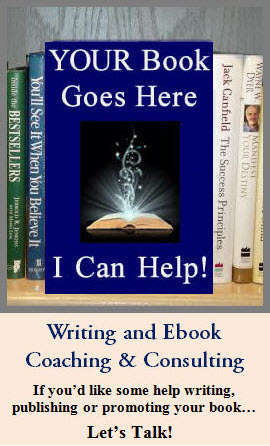 What if Dr. Richard Carlson had quit writing because he believed it would never support him? Wherever you are in your writing and publishing journey, keep going, keep writing, keep submitting. What's your favorite (most inspiring) publishing story? How to reignite your creative fire and keep your passion for writing burning bright--no matter what! 1. Generate as many ideas as possible, as fast as you can. Speed is the name of the game, with brainstorming, because you don’t want your logical mind to short-circuit the intuitive connections that are flying through your brain at a thousand miles an hour. For the same reason, when you’re writing your ideas down don’t worry about organizing them, or even taking the time to write the full idea down. You don't want to stop the flow, so use the least amount of words possible to convey the key points of your idea. 2. Every idea is a good idea! If an idea seems dull, unrelated to your project, or unrealistic, write it down, anyway. You never know where an idea will lead. Something that may not seem to make any sense for the project you’re working on may be the catalyst that breaks you through to a whole new level of creativity. Trust the brainstorming process. 3. Decision making come LATER! If you start debating the value of every idea you generate, you’re going to cut off the creative flow. You can weed out the weak ideas, later, when you’ve got your editor’s cap on. As long as you’re brainstorming, don’t judge or hold back even the craziest of ideas. Your job is simply to write down whatever comes. 4. Be willing to be silly. Brainstorming is fun, so have fun with it. Keep it light. The more relaxed, open, and playful you are, the more creative you'll be. When you're being silly, besides having fun, you're at that place of "anything goes," which is the essence of brainstorming. And the silly ideas, themselves, are golden and often go viral. Use several different brainstorming tools and techniques: mind maps, fast-writing, clustering, lists, and card decks—with paper and pen, or on your computer. The more ways you can mix it up the better, for each will bring up different thoughts, feelings, memories, associations, words, ideas, and images. In addition to using language based brainstorming techniques, you can also brainstorm with audio or visual cues, such as music, photographs, or art. You can also find a brainstorming partner, or join a mastermind group. Besides the wonderful ideas that others will generate specifically for you, brainstorming with others sparks ideas in you that you wouldn’t have come up with on your own. When two or more are brainstorming, it creates a powerful synergy. Last night (or very early this morning... depending on how you define 2:00 am), I stumbled upon a Julia Child documentary on PBS. It played clips from four decades of Julia's TV shows. Besides being amazed that Julia was slathering butter on both the inside and outside of a chicken, and then layering bacon on top of the butter, I was mesmerized by how passionate she was about cooking, and how much fun she had doing it. As I was watched clips of Julia cooking, and interviews with famous chefs speaking about their time with her, I realized that I was learning powerful writing lessons, in addition to how to roast a chicken. Be Yourself. When Julia was in the kitchen, she was at home, even when the TV cameras were rolling and millions were tuning in. As "The French Chef," and author of Mastering the Art of French Cooking, she could have adopted a more professorial tone as she taught America how to cook French cuisine, and no one would have questioned it. Yet she was just Julia. She loved what she did, shared it joyfully, laughed easily, and turned every mistake into an opportunity to learn something new. Her personality shone through everything she did on television, and we loved her for it. Beginning writers are constantly getting caught in-between the desire to come up with new and unique ideas, and the belief that they need to emulate successful authors in order to get published. What it takes them awhile to understand is that they can do both, simultaneously, by simply being themselves. Offer something new, by being absolutely YOU. A Writer's "Voice" Is More Than Words. At the end of the documentary, clips from Julia's cooking shows rolled underneath the credits, her words muted by the musical soundtrack. Even without being able to hear her distinctive voice, I was riveted to the screen by how powerfully her personality still came across. You could see the joy in her face as her arms swung widely, and she made some culinary point with a pot in one hand and a spoon in the other. That got me thinking about the many ways an author's voice might come across in her writing other than through her words. An author's "voice" encompasses more than the use of language, it includes pacing, plotting, punctuation, and every choice that's made. One author's love scene could be torrid, while another's chaste, with a third sneaking past it without a word. Some authors love to dip their prose into minutia, while others write with rich broad strokes. Who you are will burst forth from your book in a myriad of ways. Some designed by you; others beyond conscious choice. Commit to Your Vision. Julia Child did a television series with Jacques Pepin called Julia and Jacques Cooking at Home. He was a famous chef, and liked to do things his way. Julia was the same. I loved watching the two of them together. Each was doing their piece of the recipe their own way, yet they were open enough to learn from each other. As a writer, you're going to get feedback and suggestions from many people: friends, loved ones, critique groups, editors, agents, and publishers (to name a few). It can be a struggle to hold your vision steady in the face of so much creative and critical input. So it helps to be like Julia, strong and self-confident, yet open to listening to and learning from others. Clarify your vision and voice, then commit to them. When you've steadied your vision within yourself, you can more easily weather the ups and downs of the writing life. What lessons have you learned from Julia Child, or any other person you admire? Music can support your writing in many different ways. Music can create a mood, can become a ritual that turns your mind towards writing, or can distract the mind so that inspiration is free to flow through. Many people create special writing soundtracks that either put them into the feeling place of their story, or helps them to relax, focus, and open. You can also use music as a productivity tool. If you listen to music CDs when you write, don’t turn the repeat button on for continuous play. Even if you have a favorite CD that you could write to all day long, listen only on regular play. That way, every 45 to 55 minutes when the music stops, or you realize that it’s off, you’re reminded to get up from your computer and stretch, walk around, get water, and take a break. It’s too easy to write for hours on end without budging from the computer, but it’s better for your body, as well as your creativity, to get up every hour or so and move. Your music coming to an end is a gentle reminder. Do you listen to music when you write? What type of music do you listen to? Ideas are alive and constantly changing, like the images inside a kaleidoscope. What seems like the right direction to go in one moment, seems all wrong the next. That new ideas are arising and replacing old ones is not a problem. What is a problem is judging the change, using it as an excuse to doubt yourself, labeling the new idea “self-sabotage,” or feeling like a failure for putting an idea or project on the back burner, or dropping it altogether. These reactions cause far more damage than a new idea ever could. An idea is purely creative—it's unique, yet builds upon all that’s come before it. Judgments are the opposite—destructive, tearing down what’s been so lovingly built. However, changing direction because of a new idea isn’t destructive, it’s fine tuning your creative vision. Sometimes it takes a couple of tries before you find what truly resonates. In the process, you sometimes discover the need or desire to go in a new direction, altogether. The more you trust yourself, and your creativity, the more willing you’ll be to follow wherever your ideas lead. And the more quickly they will lead you home—to the right project, or plot, or point-of view. A couple of days ago, I was on a book writing call and these three words arose in response to the various creativity issues plaguing the writers on the call. Although I know it doesn't always feel like it, wherever you are with your writing is the perfect place for you to be. Since you're always learning and growing, the difficulties and disappointments you face are an important part of the process of becoming the writer that you want to be. Acknowledging where you are, even (or especially) when you don't like what's happening, frees you to move forward. It's also important to acknowledge what's working well. It's easy to get so focused on fixing what isn't working about your writing, or your book, that you skim right past the words that flowed easily, or the outline you were working on that fell perfectly into place. Acknowledge it all. As a writer it's helpful to allow your creativity to flow, and not flow. Allow yourself to be wherever you are with no "shoulds," with no beating yourself up for missing a day's writing. The more you allow--the more you forgive yourself and accept the unproductive days, the terrible first drafts, and even the missed deadlines--the more creative you'll be. I know that sounds paradoxical, but self-judgment and self-criticism shut down creativity, while self-acceptance and allowing opens it up. I'm not saying that it doesn't matter if you write or not, I'm saying that commitment and productivity flow more easily from a positive and supportive state of mind. It's also helpful to allow yourself to dream. To believe that success is possible, and that you have the determination and talent to finish your book and be a published author. Allow it all. Once you've acknowledged what's happening in your experience, and have allowed it to be whatever it is, it's time to bask in appreciation. Don't wait until you've written the perfect prose before beginning to appreciate your writing. Appreciate it, now. Appreciate your creativity. Appreciate that you valued yourself enough to sit down and write. Appreciate what you've written, whether it's finished, "good enough," or not. And let your appreciation lead to celebration. Celebrate every completion, every victory, every writing session--no matter how small. Because those small completions add up, over time, to a finished book. Appreciation is incredibly powerful. The more you appreciate yourself, and what's in your life, the better you'll feel. And the better you feel, the more you'll follow your heart. And the more you follow you heart, the more your writing dreams will come true. ** What words help you write? Where Does Professionalism End & Perfectionism Begin? "Don't let the struggle for a strong opening strangle your creativity. Many of the best first lines are written last. Too many writing projects never get past the first paragraph or page, because of this particular type of perfectionism. For a writer, the perfect opening is one that either propels you into the piece and gets you writing, or simply doesn't get in your way. Yes, you need a strong opening… eventually. But writing, even with a clear focus, is about discovery. Your finished piece may be very different than what you first imagined." On twitter, one day, this tip started a conversation about the fine line between caring about craft and perfectionism. Where does polishing your writing end, and perfectionism begin? How can you tell the difference between the two, when perfectionism so often looks and feels like wanting your writing to be the best it can be. Isn't that a good thing? Isn't that professionalism? PERFECTIONISM: Your writing's never good enough. PROFESSIONALISM: You want your writing to be the best it can be. PERFECTIONISM: You often judge your writing harshly, and beat yourself up over it. PROFESSIONALISM: You have a sense of professionalism and pride in your work. PERFECTIONISM: Trying to be "perfect" often slows your progress, or stops it cold. PROFESSIONALISM: As you polish your prose, you make steady progress and your writing gets better and better with each draft. PERFECTIONISM: You spend hours agonizing over and editing EVERYTHING: emails, blog posts, and even comments you're making on other people's blogs, taking precious writing and editing time away from your primary project: your book, ebook, or novel. PROFESSIONALISM: You have a sense of appropriateness. While you always want to do your best, you know that your blog post doesn't need to go through as many drafts as your book. PERFECTIONISM: You can't move forward until you get it right. So, if something "right" doesn't come when needed, you end up abandoning project after project. PROFESSIONALISM: If something isn't right and you can't quite get it, you feel free to move on because you know that you'll come back later and clean it up. PERFECTIONISM: Causes frustration and tension, which closes down creativity. PROFESSIONALISM: Gives you a sense of confidence, which opens up creativity. Although professionalism and perfectionism can sometimes look the same--like being concerned about writing well--there's a subtle and important difference between the two which can be seen and felt in how we relate to our writing, what we say to ourselves as we write (or about our writing), and how writing and editing makes us feel. Does your caring about craft spill over into perfectionism at times? What does your perfectionism look like? EXERCISE: Make a list of what you do, or say to yourself about your writing, when you're caught up in perfectionism. Once that's done, for every item list an "antidote" or alternative--what you might do or say to yourself, instead, that's more self-loving and that will open up your creativity, rather than close it down. 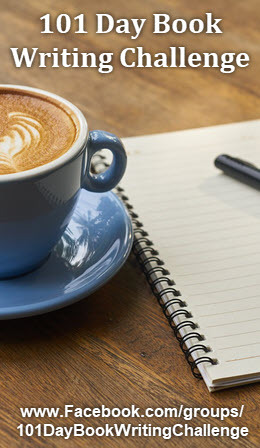 In my interview with Mark David Gerson (the author of one of my favorite books on writing, The Voice of the Muse: Answering the Call to Write) for The WritingSpirit Book Writers Community, we talked about perfectionism. We all carry little perfectionist genes in our bodies. We all want to get it right. The first thing I said to this group the other day was, "It's never going to be perfect. Period. End of story." It simply cannot be perfect. It can be the best you can make it, but it will never be perfect. There are all kinds of reasons we can go into for that, but it won't be perfect. If you start at that place, then you polish it as much as you can, at a certain point I think you have to stop or you will be writing the same book the rest of your life, or the same paragraph, or the same sentence. Mark David then went on to talk about the nature of ideas and why it's actually impossible to capture them perfectly. Where do you draw the line between professionalism and perfectionism?